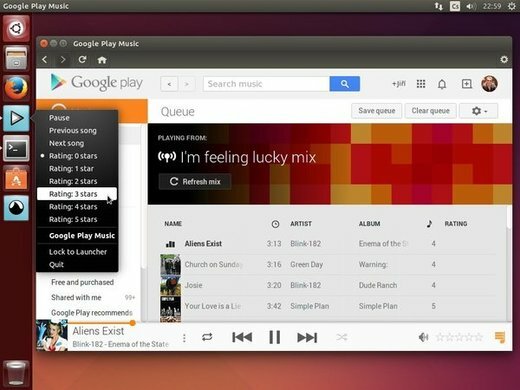 Nuvola Player 3, a cloud music integration for your Linux desktop, now is at beta build and is recommended for general usage. Nuvola Player is an open-source music player that integrates cloud music services like Google Music, Rdio, Spotify, Grooveshark, Jango, etc with your desktop. Nuvola Player 3 has been rewritten from scratch and contains plenty of improvements over Nuvola Player 2. Now it provides an official Linux repository currently supports Ubuntu 14.04 (Linux Mint 17.1), Ubuntu 14.10, Fedora 20-21 and Debian Jessie and Sid. Synology Audio Station (Daniel Schep). NOTE: Nuvola Player 3 won’t replace Nuvola Player 2 in you system. You can keep using Nuvola Player 2 until Nuvola Player 3 is stable enough for you. 1. Add Nuvola Player stable repository. Done! For more, go to tiliado.eu/nuvolaplayer/.